New At Autogeek: Dodo Juice Supernatural Wash Mitt "Yeti's Fist"
How would you like a blonde to wash your car? Then get the?Dodo Juice Supernatural Wash Mitt “Yeti’s Fist”! This lighter version of the Supernatural Wash Mitt has the same ultra deep pile and long, soft Merino wool strands as the Wookie’s Fist. The mitt is handmade of genuine Merino wool, regarded as the finest and softest wool of any sheep. You’ve never felt a wool car wash mitt like this! The Dodo Juice Supernatural Wash Mitt “Yeti’s Fist” is softer and thicker than any other wool wash mitt! The mitt has this deep pile for a reason: when washing a vehicle, loose dirt gets lost in the wool strands and it does not rub against the paint. Plus, the long, shaggy wool has an extra large capacity for soapy water. More soapy water equals more paint-protecting lubrication for your vehicle. In fact, you might need a bigger wash bucket! The Dodo Juice Supernatural Wash Mitt is a rare breed indeed. The wool mitt is handmade of the finest Merino wool. Wool from this sheep is prized for its softness. In fact, fine Merino wool is often blended with silk and cashmere to make garments. The makers of Dodo Juice recommend using a 5 gallon wash bucket with the Dodo Juice Supernatural Wash Mitt “Yeti’s Fist” because it soaks up a lot of water. Put a Grit Guard Insert in the bucket to further protect the paint against wash-induced swirls. Pour in a small amount of Dodo Juice Supernatural Shampoo and blend with water until sufficiently frothy. Then use the Dodo Juice Supernatural Wash Mitt to lather your vehicle. Rest assured that the long wool fibers are providing excellent protection against swirls. The Dodo Juice Supernatural Wash Mitt? “Yeti’s Fist” is produced in limited batches! Don’t miss your chance to pamper your vehicle with the Yeti’s Fist wool wash mitt, only from Dodo Juice. Tired of the car care industry’s prehistoric marketing and mass-produced offerings, Dodo Juice was established with one aim in mind to bring high performance car care products to the enthusiast, at realistic prices, without any pompous claims. Launching with just five hand made waxes, the range has grown to over 20 products, all made in the UK by a small team of dedicated technicians. The waxes have been well-received by the detailing community and are used by professional detailers as well as amateur enthusiasts. 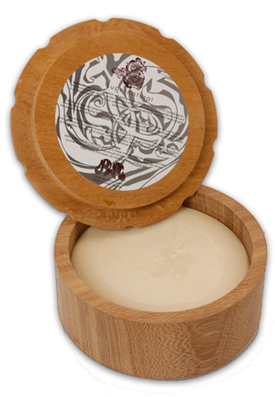 Dodo Juice’s premium wax, Supernatural (sold in a bespoke hard wood container), sold out within 25 minutes. Overall, Dodo Juice is a company that is proud to be different, proud that its logo is difficult to read, proud of its distinctive website (www.dodojuice.com) and proud to be friendly, approachable and educational. One day it may even achieve its ambition of buying a volcano island, complete with monorail and laser. Then its competitors will have even more reason to worry. Dodo Juice‘s PJ Aass will be at Autogeek’s 5th Annual Detail Fest on March 27-28!